Healthy On the Inside and Out. 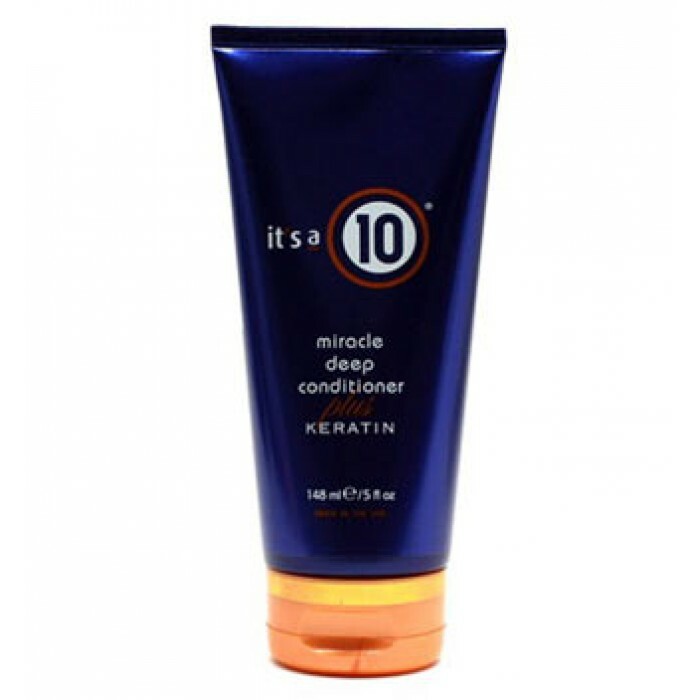 Reverse damage and repair healthy manageability and shine with It’s a 10 Haircare’s nutritive deep conditioning complex. Featuring Keratin as the key active ingredient, this 5- to 10-minute mask will smooth the hair cuticle and layer it with a strong protective coating that resists heat, humidity, styling, split ends, and sun damage. Hair is left smooth, detangled, shiny, stronger and full of life. 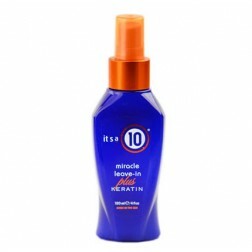 - Protects from sun damage. 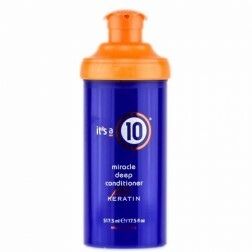 - Keratin Amino Acids and Hydrolyzed Keratin: Restores lost moisture and strength to dry, brittle, color treated or otherwise damaged hair by infusing it with the same natural proteins that make up hair in the first place. - Sunflower Seed Extract: Natural sunscreen that guards against dryness and color fading or brassiness. - Aloe Vera: Provides intense soothing and protective moisture. 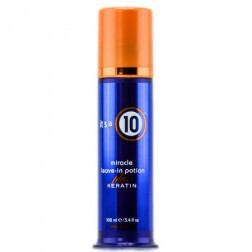 - Chinese Tea Leaf Extract: Enhances overall hair health with antioxidants and nutrients. 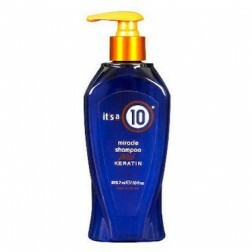 - Linseed Oil: Complex natural oil and moisturizing agent that penetrates hair shaft. - Apricot Kernel Oil: Vitamin-rich natural oil that improves health of scalp and hair. - Sweet Almond Oil: An emollient oil that moisturizes scalp and imparts flexibility and shine to hair. DIRECTIONS: After shampooing with It’s a 10 Miracle Shampoo with Keratin, apply a generous amount of Deep Conditioning treatment to hair, starting with ends and working up to scalp. Allow to sit for 5 to 10 minutes. Rinse thoroughly and then dry and style as normal.